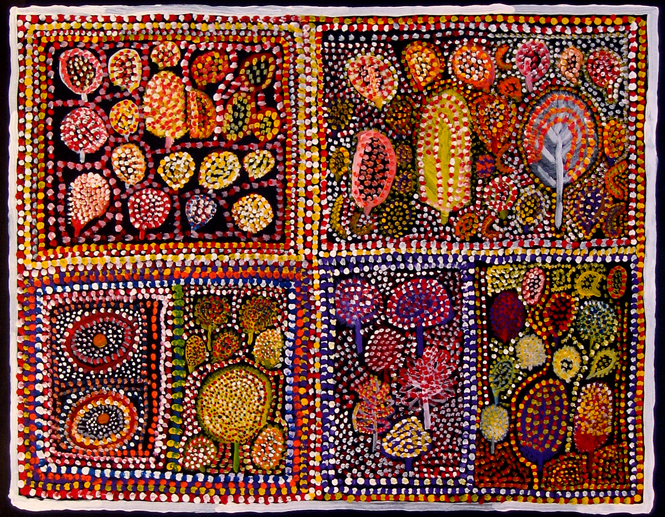 The following essay was written to accompany the exhibition Peter Newry: History Paintings at Mossenson Galleries, Melbourne from April 7 till May 2, 2010. 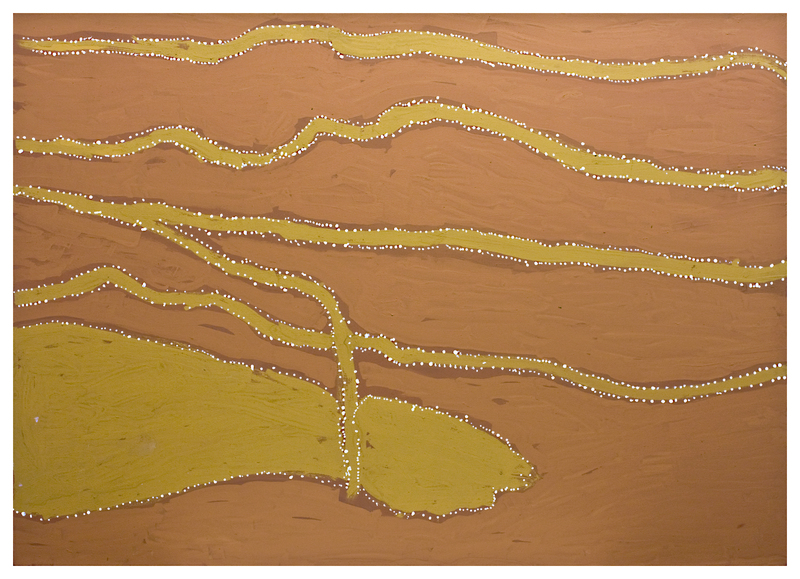 A series of meandering lines roll across the canvas. Each one wavers delicately, but determinedly, as it breaks through rich veins of fulvous ochre. This is Laargen, located deep within the Keep River National Park, where during the wet season, dozens of small creeks unite to become a gushing torrent of water that breathes life into the desert landscape. 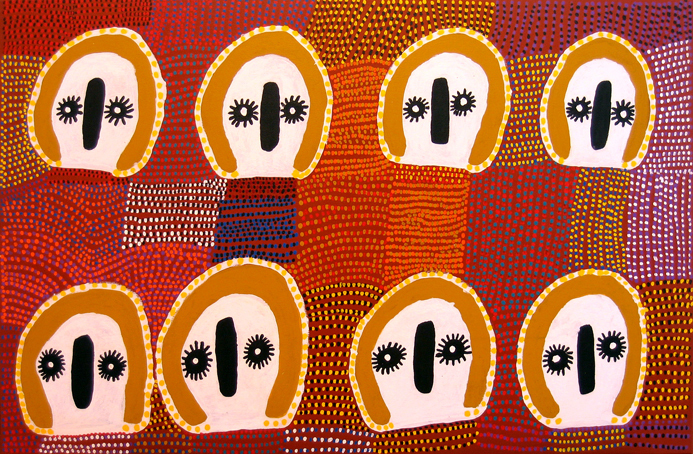 It is the ancestral country of the Miriwoong, and in Peter Newry’s painting, it is depicted with a majestic solemnity. Newry’s hand is one of dignified restraint; his marks dance on the canvas like an arcane calligraphy, each line a Zen-like meditation on time and space. In Hitsuzendo, the Zen art of calligraphy, a single line can evoke an entire world of meaning. The aim is to reach Samaai: the unification of the individual with the highest reality. In the act of calligraphy, Zen masters focus intensely to become one with the meaning of the characters that they depict. 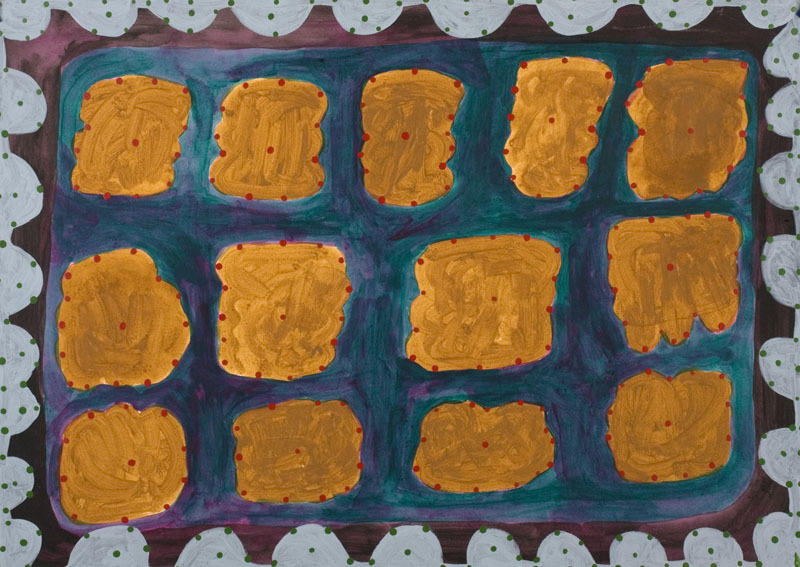 In the paintings of Peter Newry, a similar focus can be found. 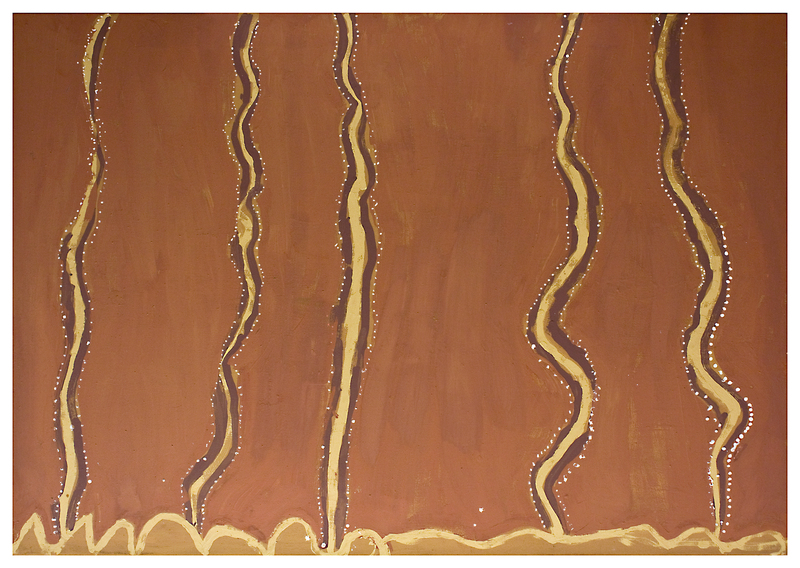 The landscape pours from his brush in simple lines that cut across broad swathes of ochre, invoking both the spiritual essence and material presence of place. 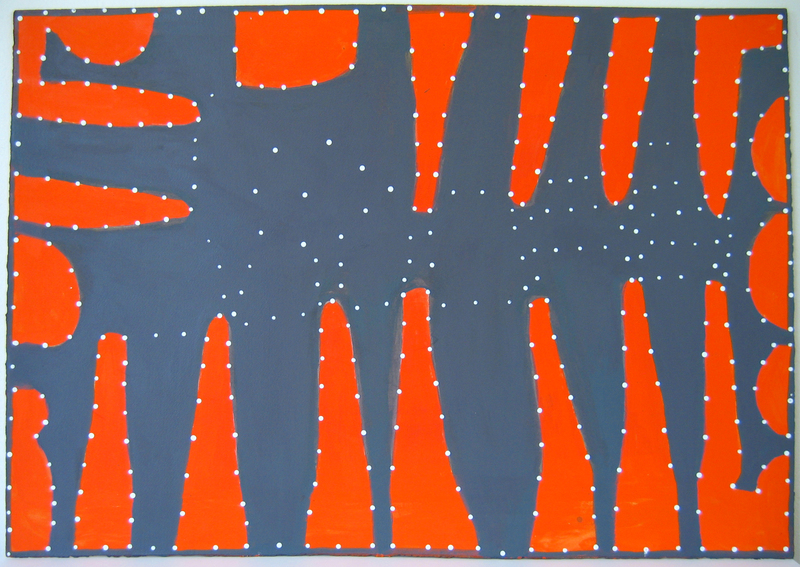 As Darren Jorgensen has noted, Newry is one of the Kimberley’s most restrained minimalists, taking the already austere planar style of East Kimberley painting – popularised by artists like Rover Thomas and Paddy Bedford – and reducing it to an enigmatic sparsity. 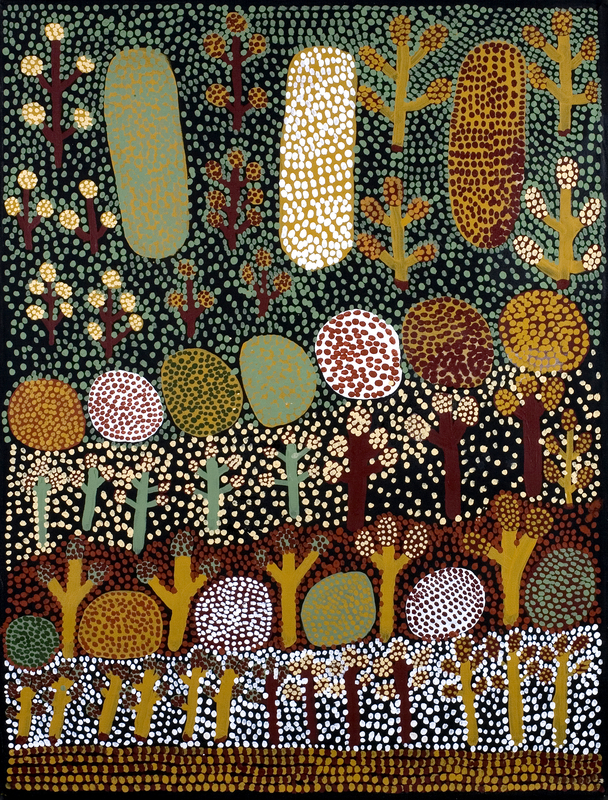 In western art and literature – from Sidney Nolan to Patrick White – the desert’s broad spaces induced fear as identity was dissolved amidst the oppressive infinity of the wilderness. For Newry, however, it is from these seemingly empty spaces that identity is revealed. Through his simple lines, the form of the landscape is evoked in absence. Landmarks are not so much depicted, as alluded to; space is evoked along cragged ridges, whose jutting edges speak of a long life in the Kimberley. Peter Newry was born around 1939 at Newry Station in the East Kimberley, where he lived for the next fifty years. According to Newry, he “grew up on the back of a horse.” A skilled stockman, he worked on the station until the 1970s, after which he was employed in numerous hard labours, including picking cotton and working as a builder’s labourer during the construction of the township of Kununurra. Although an important cultural man of the Miriwoong, Newry approaches this role with a dignified humility, reticent to reveal too much of his knowledge to outsiders. The spiritual content of his work and the sacred places it depicts, is often left understated or unexplained in Newry’s paintings. 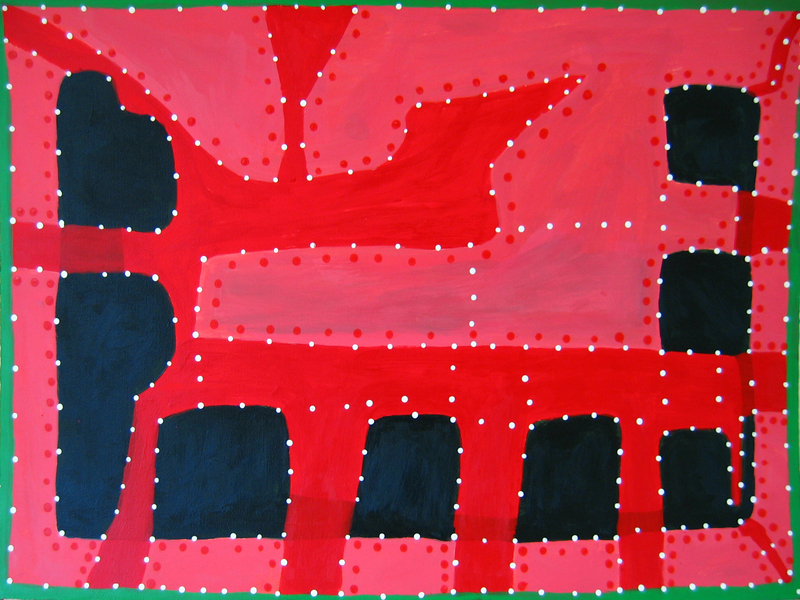 Nevertheless, it was the very task of recording his sacred geography that inspired Newry to commence painting in 2002. Newry was persuaded to commence painting by the late, great Gadjerriwoong artist Paddy Carlton (c.1926-2006), who extolled the importance of Newry recording his knowledge of his traditional country. Charged with this weighty task, Newry’s early works were frenetic cartographic exercises, as he attempted to depict vast areas of country in great detail. 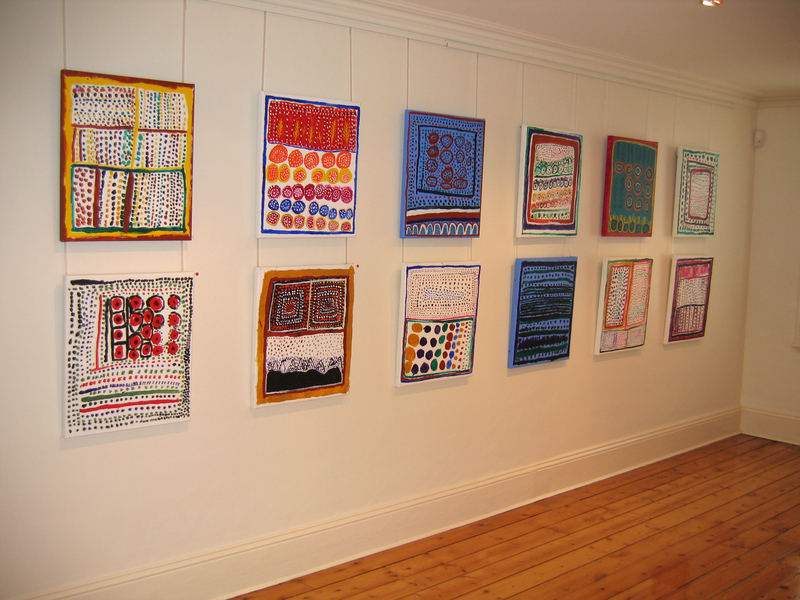 More recently, however, Newry has restricted himself to a smaller number of specific locations – those places with a profound personal resonance. 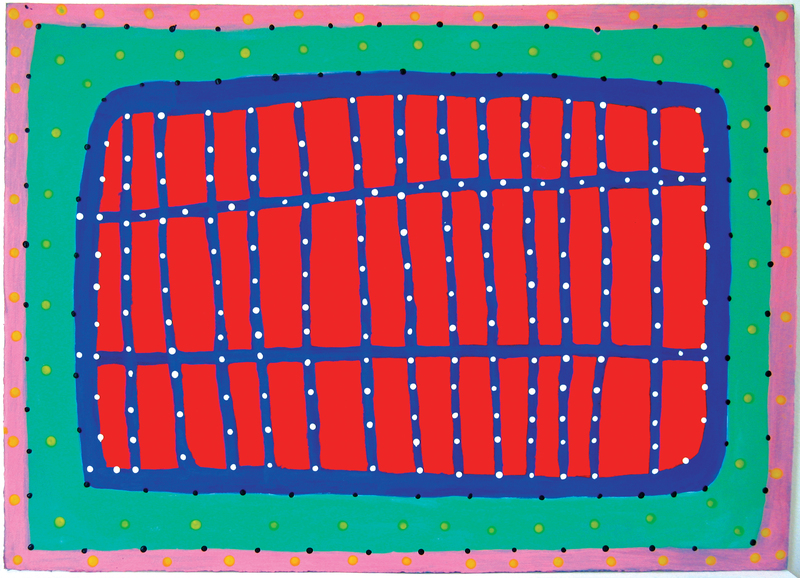 These works are not so much about mapping, as becoming one with the country through painting. 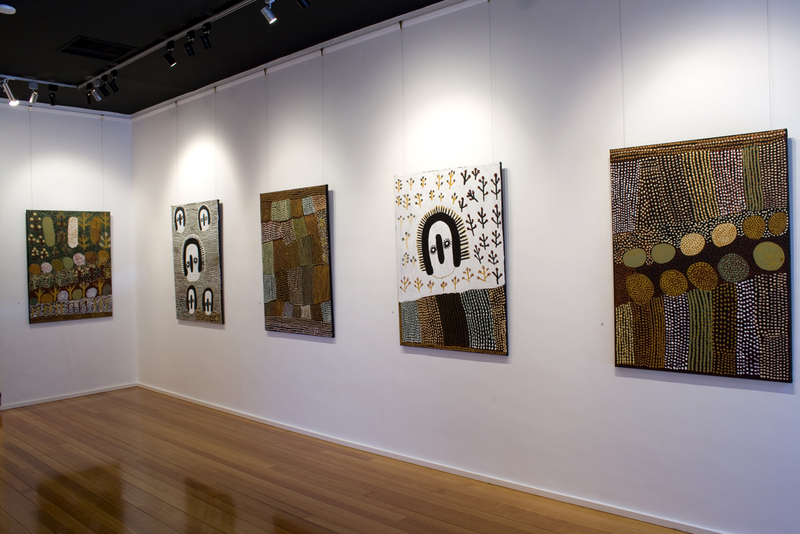 Newry is no longer attempting to produce encyclopaedic maps of Miriwoong country, but rather, trying to achieve a unity that embodies the landscape, becoming more realistic by its ability to transcend representation to embody the very essence of the landscape. 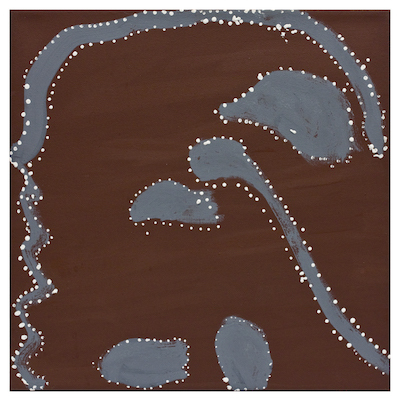 Newry describes these paintings as “history paintings.” For Newry, ‘history’ is a term filled with gravity; his use of it reflects the weight and seriousness with which he views his art practice. 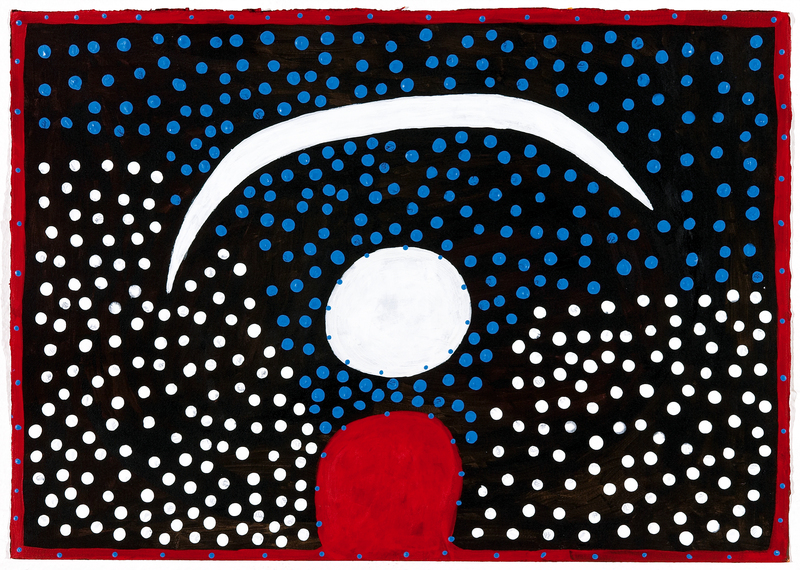 The history to which it refers is that of his Miriwoong country: the true stories of how places were made. 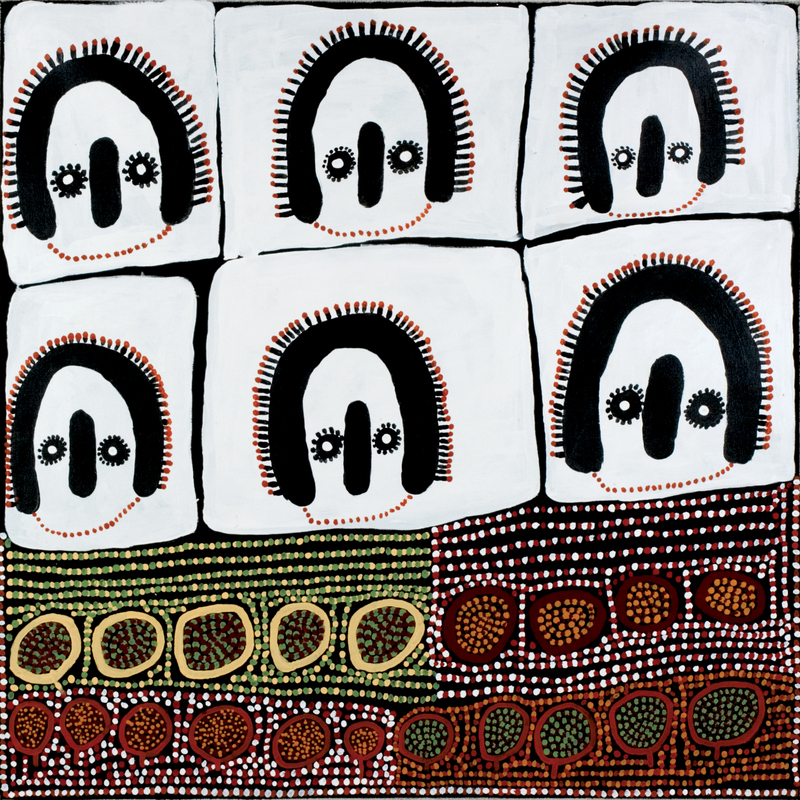 In ascribing them the gravity of ‘history’, Newry confirms his paintings as stories told the ‘right way’, as they were passed down by his ancestors. And yet, this is not history painting in the western sense, for unlike his academic predecessors, the ‘history’ of Newry’s paintings is not something limited to the past, but rather, is continually unfolding. 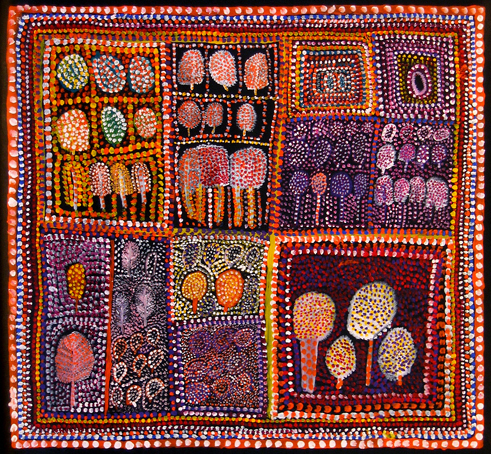 Unlike the paintings of David or Vernet, the history embedded in Newry’s paintings is not depicted, but revealed via the residual ancestral presence that sanctifies the landscape and connects it to the sacred Ngarrangarni or Dreaming. 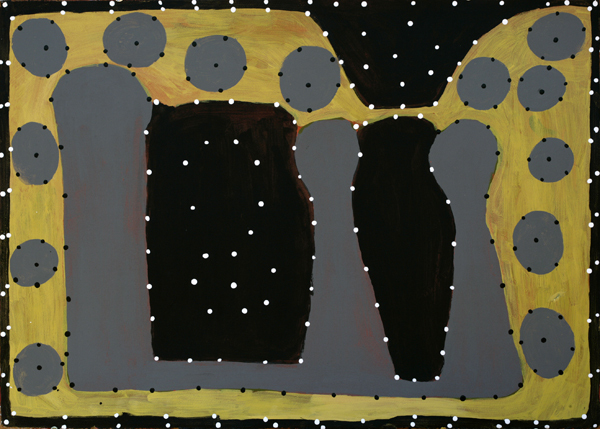 According to Cathy Cummins, Manager of Waringarri Aboriginal Arts, “Peter Newry’s paintings invite us to acknowledge a level of understanding that is poetic, intelligent and deeply connected. 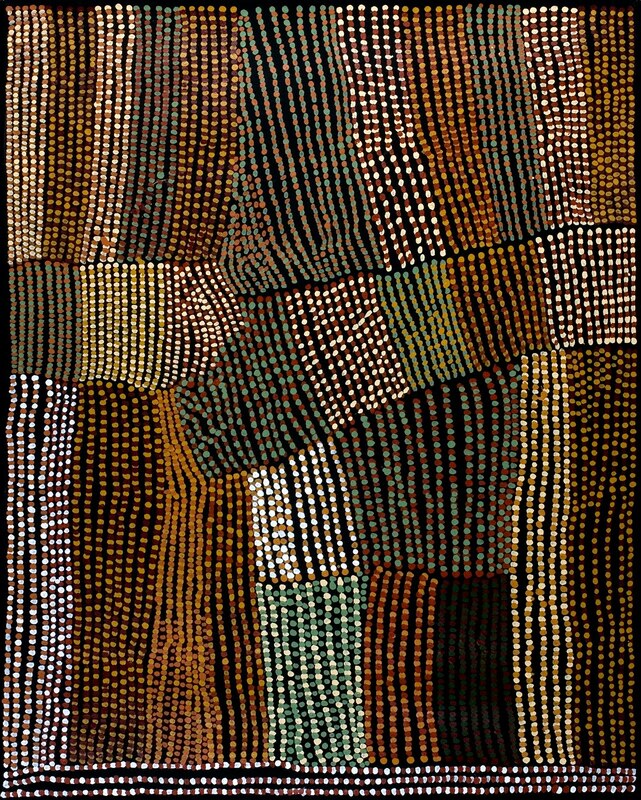 At a time when Indigenous art teeters on the balance of what it has achieved and what more is possible Peter Newry stands up and reminds us that the land is poetry, it is history, it is the story of a culture whose truths are increasingly vulnerable.” In Newry’s paintings, we find a Zen-like unity with the landscape whose power derives from its temporal and spatial connection with Ngarrangarni. 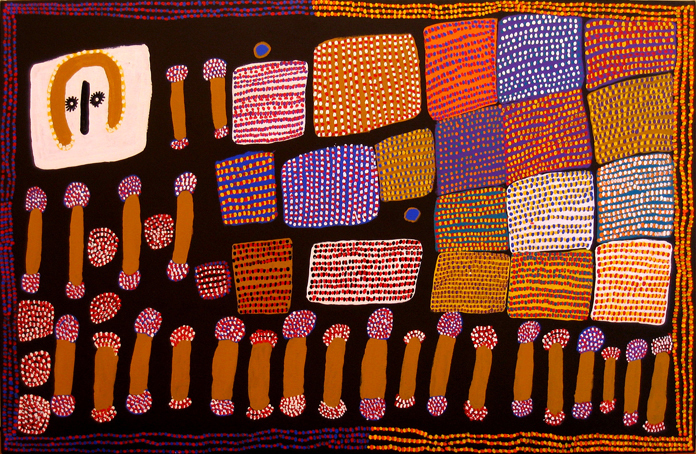 As he works to pass this knowledge onto his children, grandchildren and relatives at Waringarri Aboriginal Arts, Newry creates his own history, moving East Kimberley painting to profound new boundaries.